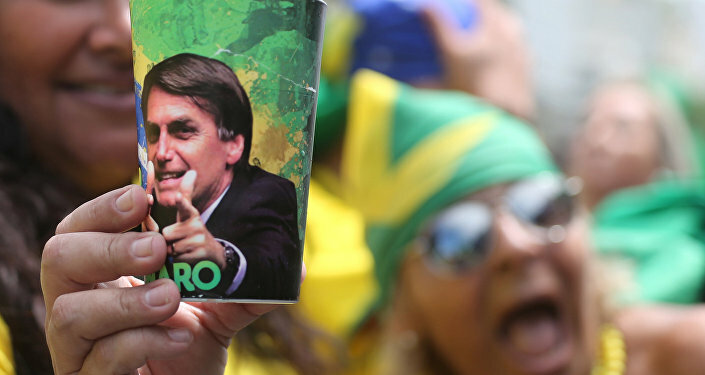 Brazilian President Jair Bolsonaro, who also shares Donald Trump’s passion for Twitter, is so in tune with the US president that he has even been dubbed the “Trump of the Tropics” by the media. Brazil’s Jair Bolsonaro arrived in Washington on Sunday to meet with his US counterpart, Donald Trump, and forge an alliance hardened by a similar approach to the ongoing political crisis in Venezuela. 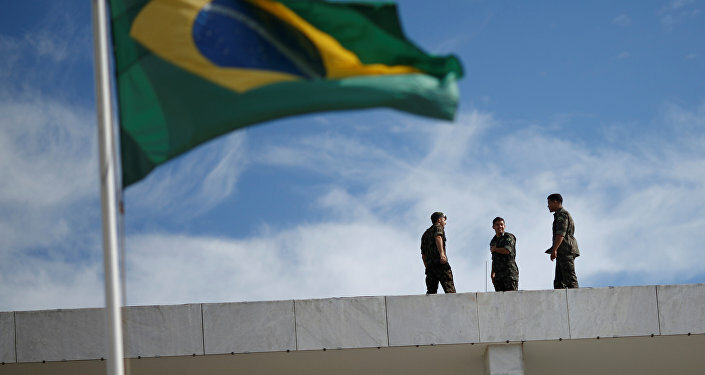 READ MORE: Democracy in the US and Brazil: What do They Have in Common? The tough-talking Bolsonaro has consistently expressed his admiration for President Trump, with his spokesman saying that the visit showed “the priority the government gives to building a solid partnership with the United States of America”. “Nowadays, you have a president who is a friend of the United States who admires this beautiful country”, Bolsonaro told an audience at the US Chamber of Commerce on Monday. TWEET: ”For the first time in a very long time, a pro-American Brazilian president arrives in Washington. It is the beginning of a partnership focused on liberty and prosperity, something that all of us Brazilians have long wished for”. — Jair M. Bolsonaro (@jairbolsonaro) 17 марта 2019 г. The right-wing president’s approach to the United States is different from that of previous administrations. Unlike his predecessor Dilma Rousseff, who cancelled her visit to Washington in 2013 following revelations that the National Security Agency had been spying on her, Bolsonaro stopped by CIA headquarters in Virginia to address “international issues in the region”, according to his son Eduardo. In a tweet that is likely to spark controversy, Eduardo Bolsonaro, who’s accompanying his father, heaped praise on the CIA as “one of the most respected intelligence agencies in the world”, despite the 2013 revelations leaked by Edward Snowden that resulted in several years of tense relations between the US and Brazil. Trump’s National Security Adviser John Bolton, for his part, has called Bolsonaro’s trip a “historic opportunity”, adding that the Brazilian president was bringing a “real energy to the relationship”. “He’s determined to make progress. We’re really very excited about being able to partner on a number of issues internationally”, Bolton told TV Globo, adding that the crisis in Venezuela was a priority. As part of the meeting, the two sides inked several bilateral agreements, including one that allows the United States to use Brazil’s Alcantara Aerospace Launch Base for its satellites. In addition, Brazil announced an end to the visa regime for US tourists willing to visit the Latin American country. The South American country is also seeking US help with its bid to join the Organisation for Economic Cooperation and Development and to expand trade. The Associated Press cited a senior US administration official as saying that the United States had a $27 billion trade surplus with Brazil and that there were opportunities to bring the two countries’ business communities closer. Brazil, just like the United States, has recognised Venezuela’s opposition figure Juan Guaido as the country’s interim president, arguing that Nicolas Maduro’s re-election last May was illegitimate. Brazil also participated in the attempted delivery of “humanitarian aid” to Venezuela by the US, allowing it to be stockpiled on its border with Caracas – something that Maduro has strongly opposed out of national security concerns. Bolsonaro’s rhetoric during his election campaign has largely been compared to that of Trump: besides pledging to crack down on fake news, the right-wing president vowed to “make Brazil great” in a Facebook live broadcast, which is one of the many reasons people suggest he’s been inspired by POTUS and his “MAGA” motto.